Coursera.org, an independent educational technology company founded by two Stanford professors, is using online learning to bring free higher education courses to students all over the world…for free. Bringing the Ivy League to your laptop. Coursera partners with universities from throughout the world, including multiple Ivy League institutions. Professors from partnered universities create the courses, which cover everything from Computer Science to History. Courses are offered to students free of charge and taught primarily through video lectures. Quizzes, assignments, and peer assessments are also submitted online. Given the ease and range of courses that can be offered through Coursera’s system the website almost seems too good to be true. Indeed, some experts are cautioning that a potential down side to Coursera’s educationl offerings is that it’s unclear whether online learning is as effective as the traditional face-to-face kind. Even so, there is evidence that those worried about the quality of online education need worry no longer. In September 2010 the US Department of Education released a detailed report that analyzed the results of 45 published studies on the subject and concluded there was convincing evidence that at the very least online learning could be, on average, as effective and learning face-to-face. Hybrid methods that combine both online and face-to-face components have been shown to be even more effective than using either method alone. Another potential down side to Coursera is that not all courses offer certificates of completion. 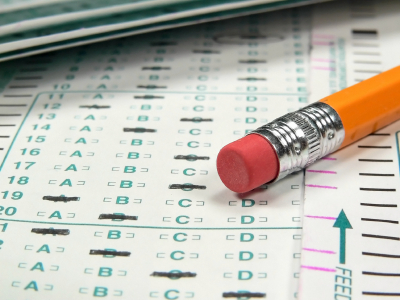 This means that despite completing a course, students may not be able to prove to future employers or academic officials that they have taken and completed. However, this too may soon no longer be a problem as universities are beginning to incorporate Coursera offerings into their curriculum. Just this month Antioch University, a private liberal arts institution based in Washington that has campuses in five states, began allowing Coursera courses to be taken by its students for college credit. The University of Washington, a public research university also based in Washington state, has also stated its intentions to allow Coursera courses to be take for credit by its students, as long as further requirements are met. All of this is just the beginning of Coursera’s enormous potential as an educational game-changer. Technological advances are improving the delivery platform for online courses and allowing for greater personalization of material. These advances are also allowing educators to gather enormous amounts of data on how their students learn, the analysis of which will allow them to fine tune and improve the learning experience. One thing is absolutely certain about Coursera: with over a million students from 196 countries enrolled in over a hundred courses, the website proven that people around the world are eager for a way to broaden their higher education experience. Coursera doesn’t intend to stop there. It has expansion in mind as it intends to partner with more schools, widening the range of courses offered even more and bringing more accredited institutions into the fold of online learning. With all this in mind it seems that Coursera, and websites like it, may be on the road to changing the face of higher education as we know it. Jun 25 You’ve Graduated, Now What? Millions of college students will walk the stage, get their diploma, and enter the real world looking for one thing…a job. Unfortunately, recent college graduates have a higher chance of being unemployed than finding a job. The typical time it takes a recent graduate to find a full time career is one year, but there are three alternatives for jobless graduates to invest their time in and add to their resume. 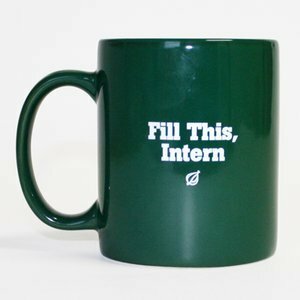 Internships provide on–the-job training in a particular career or field. Although they are common for college students, they are a great option for recent graduates. These on-the job training opportunities have grown in popularity because they offer flexibility experience and look great on resumes. Recent graduates can dedicate a few hours a week to internships and the rest to their job search. Both paid and unpaid internships are available, and there is a possibility of being offered a job at the end of most internships. There are several local and international volunteer organizations looking for professionals with certain skill sets. Commitment ranges from regularly to once a month, and there are hundreds of volunteer areas. Different areas include: fundraising, administrative and special events. You can choose to contribute to a great cause alone or in a group. Also, your volunteer experience can be included on your resume if it’s relevant to your career goals. Check your local volunteer database for opportunities. Have you been lucky to find a great opportunity because you knew a friend of a friend? Remember the girl who got a job because she knew the right person? The saying goes, it’s not what you know, but who you know, and it’s proved to be true in many cases. Life is all about connections: shaking the right hand, starting a conversation with the right person and handing out business cards to the right people. 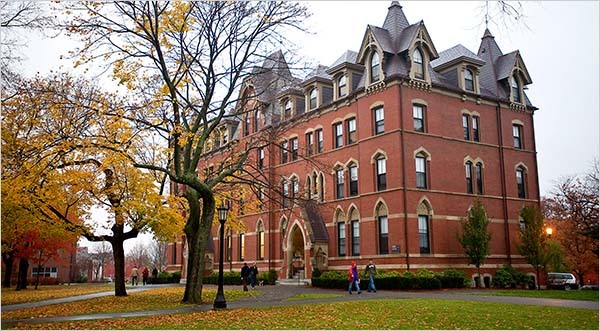 Take advantage of the alumni events your college gives. Also, there are many groups that connect graduates with professionals in their field. Today’s technology allows networking through social media. LinkedIn is a fairly new site designed for students, graduates, group and professionals to make connections. The network also allows your connections to write recommendations for potential employers to view. These options are a way to occupy time after graduation and still become a more attractive job candidate. Whether you intern, volunteer or network, you are much closer to landing your dream job. The total student loan debt in United States has now surpassed a record high $1 trillion. 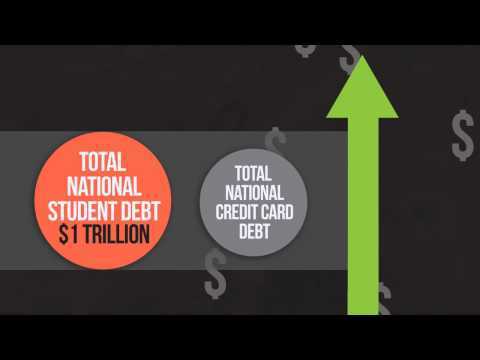 Americans now owe more in student loan debtthan credit card and auto loan debt. Some experts believe student loan debt will be the next big economic crisis in the United States. The recent recession forced a lot of people out of jobs and back in to school, increasing student matriculation, which when coupled with increase in tuition, has the nation looking straight at a looming student loan crisis. To be more competitive in the work force in this bad economy, students are now attending college in record numbers. Unfortunately, over the past two decades, the cost of attending public and private colleges has grown more rapidly than inflation, which has become less and less affordable for low- and middle-income families. According to the College Board, tuition and fees at public universities have surged almost 130% over the last 20 years. A Federal Reserve Bank of New York study states that 30% of student loans have past due balance of thirty days or more. Students routinely defer payments on their loans by using grace periods or unemployment, which capitalizes their loans and adds billions of dollars to the total student loan annually. Many believe that increasing amount in the number of student loan defaults could be signaling a financial crisis. On July 1, the interest rate break included in the College Cost Reduction and Access Act (CCRAA), which was passed in 2007, will expire. This is expected to double the federal loan interest rate from 3.4% to 6.8%. The increase would affect interest rates for subsidized Stafford loans for undergraduates issued after July 1, 2012. With students borrowing more money than ever to cover cost of college, this increase in interest rate is daunting for a graduate starting out with low income. With many graduates struggling with unaffordable student loan payment, many experts have pointed out that it is important that people explore all their options and look for any possible alternatives before starting their education. Taking prerequisites at community college for the first two years before transferring to four year university or college is one example. There are programs that offer to pay tuition for services after graduation. Picking the right major is also critical in these bad economic times. It is important that students understand what jobs are available after they graduate and what income they should expect. In this day and age and even with the sources available on the Internet so many students are still taking out loans for college when with a bit of planning and work beforehand they could possibly come out of college without any loans at all even without the help of their parents. In fact there is a program airing on Maryland Public television that provides some good information to get started. The show airs on Saturday, January 28, 2012 at 2pm. The average student still feels that loans have to be a part of their path to getting a college degree which is not the case. 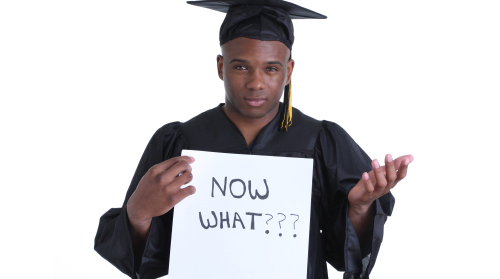 What students need to realize is that there are so many options available online for scholarships and grants and the process can be started by the parents of the students as early as when they are babies and it can continue even if they have already started college, it is never too late. Students need to be aware that other than the resources listed below students can also look to their Church or religion for scholarships and or grants. A couple of sources to use for religious scholarships include: Religious scholarships; Catholic scholarships. Provides information on financial aid resources to students and parents. This site provides information tat on free scholarships and matches te student’s background against its database of over 600,000 scholarships. Embark – Provides tools, scholarship search, and advice students and parents and elp wit the financial aid process. Maryland National Guard – Provides an alternative form of financial aid. The College Board – Review the section on the plan for college and click on “Paying for College”. Peterson’s/Thomson Learning – Features financial aid calculators and search engines for scholarships. In so many ways students do not make full use of the resources and money that is available to them. There are many sources for grants and scholarships and they are very easy to get because since they are not well known there is limited competition for them. For most of these rants all they require is an essay and usually filling out a straightforward and easy form. Sometimes these grants and scholarships are a onetime thing but sometimes the can be easily renewed ever year and just require re-applying before the due date. Another option for students is to start out at a community college and keep their grades up and be able to get a full scholarship when the transfer to a nearby college. College is expensive but it is doable even for the independent student. Arizona State University has lost a great role model, friend and contributor, William Polk Carey, who passed away at the age of 81 on January 2, 2012. Carey was an outstanding real estate investor, one of the best in the country. It’s no wonder why then when Carey donated $50 million to Arizona State in 2003, that ASU decided to change the name of their business school to The W.P. Carey School of Business. The W.P. Carey School of Business at ASU remains one of the top ranked business schools in the nation, a very outstanding and proud accomplishment for not only ASU but also remains an honor to Carey. At the time, the $50 million donation was the second largest single donation that was ever received by a business school, according to the Association to Advance Collegiate Schools of Business and remains the largest donation ever received by Arizona State University. Carey and his family had many ties with Arizona State University, which is probably why he selected to donate his money to this particular college. Carey earned a honorary Doctor of Science degree from ASU. Carey’s grandfather was also the one who introduced the legislation that established Arizona State University in 1886. Carey was born on May 11, 1930 in Baltimore, Maryland. 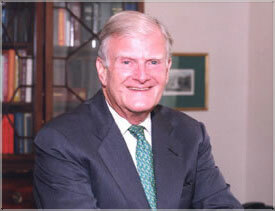 Carey was the founder of W. P. Carey & Co. LLC, a real estate financing firm located in New York City. The W.P. Carey School of Business is one of the largest business schools in the country. The school contains over 250 faculty and more than 1,500 graduate and 8,300 under graduate students. The W.P. Carey School of Business offers a wide range of business degrees including accounting, economics, finance and management. The W. P. Carey School of Business and the W. P. Carey MBA are accredited by Association to Advance Collegiate Schools of Business (AACSB). Many students from all over the country have received degrees from the business school including comedian and actor, David Spade as well as former Arizona Cardinals player and former Corporal of the US Army Rangers, Pat Tillman. The W.P. Carey School programs are ranked among the Top 30 nationwide by U.S. News & World Report, The Wall Street Journal and the Financial Times. While ASU mourns the death of a brilliant man, students look to the future hoping to some day become the next William Polk Carey.